Radiant Silvergun was released in the arcade in 1998 and was ported across to the Sega Saturn not long after. 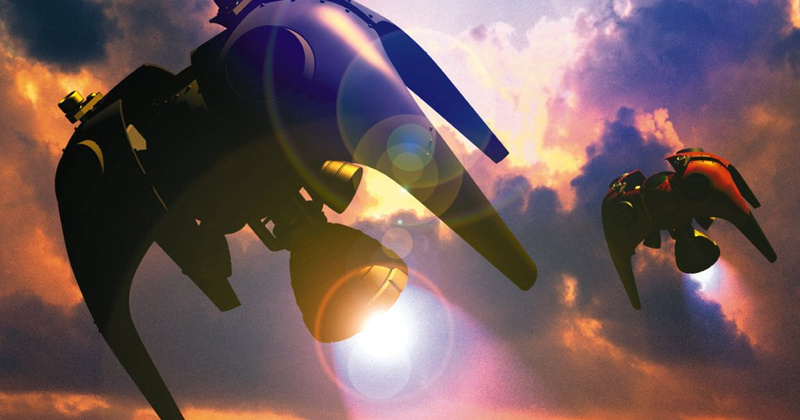 It's considered to be one of the greatest shmup and Sega Saturn releases of all-time. Like all good games from this genre, you must protect the earth by unleashing bullet hell on the enemy. 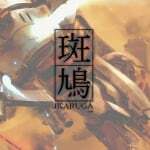 One other interesting fact is the 2001 title Ikaruga is its spiritual successor. Is this a game you would like to see released on the Switch eShop eventually? Do you have any other Treasure games you would like to see ported across to Nintendo's hybrid device? Tell us below. Yesssssssssssss, they have to surely. Why one without the other. I have complete faith that Nicalis aren't going to leave a physical version hanging. Wow, that would be a saving indeed. Never managed to pick this up on Saturn, didn’t fancy paying +£100. Bring all the shmups to Switch! The more Treasure the merrier. Please Santa! Make it so. Ok cool, yes, but! Can we have Sin & Punishment 3 please? Much like Duck Hunt over years ago. This and the panzer dragoon series would be fantastic ports. So what if they'd have to reverse-engineer saga. It would print money. Oh yes yes yes yes and yes again. I've finished the original a hundred times on Saturn and can't wait to do it a hundred more. Having heard of this game back when I first played Ikaruga on GC, it piqued my interest, but never got my hands on it. I don't even like bullet hells truth be told, but Ikaruga's polarity mechanic was so much fun I couldn't stop playing it. Radiant Silvergun is still not a definite from what I get from the tweet, but it would be nice to play the game that led to Ikaruga at long last. Normally I would get excited over a game like this but then I realize there's already way too many shmups on Switch. If Treasure could somehow get Astro Boy: Omega Factor remastered on Switch however that would be much sweet. @BulkSlash And remember, a Saturn copy is (relatively) worthless if it doesn't still have the Spine Card. I still have my Saturn version but no Saturn to play it on. They should bring it. The Switch truly is shooters paradise. @retro_player_22 No such thing as "too many shooters (never been a fan of the term "shmup")", especially when there's nothing from Toaplan, Compile, Cave, Eighting/Raizing, or Seibu Kaihatsu available yet. They just need to make all of treasure's library easily available. They make some amazing games. The Xbox 360 version was great, just port that over. Sayin "Yes please do it!" in some random forum or comments section does NOT reach the developers, BUT when you follow the link to the original Treasure tweet and "like" it, retweet it and comment on it it directly shows them your demand. Will buy if it comes out. I second that! I loved the second game. Most people on the site probably realize this, but three of Treasure’s earlier games are coming to the Switch this Friday via the Sega Genesis Classics: Alien Solider, Dynamite Headdy, and Gunstar Heroes. As much as I’d like to play Radiant Silvergun on the Switch, I’d also like to play some of their other titles on the platform (e.g., Silhouette Mirage) — and would love to have them start making new games again! I know absolutely nothing about Radiant Silvergun, but the name has crossed my path many times. It would be nice to see what all the fuss is about. Although I'd personally be far more excited about Treasure bringing Guardian Heroes to Switch. Put them all on there! Shmup machine, ahoy! Wow..... I mean.....wow! One of the best shoot em ups ever made coming to Switch we really are spoilt for choice. hey how about alien soldier 2 instead of a corny shooter? Don't tease me, Treasure. Radiant Silvergun is my second all-time favorite game (regardless of genre or platform). So if it were available on Switch I would have to insta-buy. My biggest regret in life is not buying Radiant Silvergun for my Saturn (even though I spent I ridiculous amount of money on other amazing and/or rare games for that system). PLEEEEEEEASE make this happen. Also, if that's my biggest regret in life then I guess my life hasn't really been all that bad. @Hikaru According to GameFAQs, there's already or will have over 150 of them shmups for Switch. You mean to tell me that's not too many?